Suzuki Motorcycles had quite successfully run in India thanks to its Gixxer bikes. 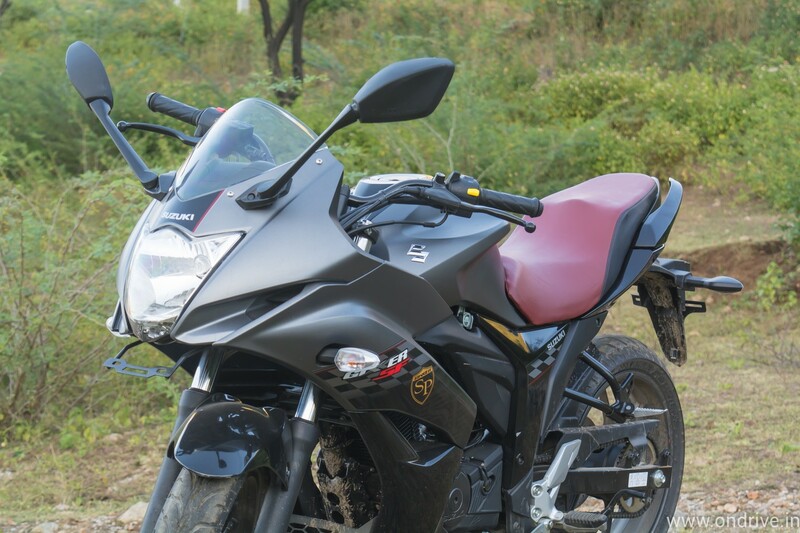 Suzuki first launched the Gixxer Naked bike in 2014 and since then it attracted many consumers. After that, Suzuki launched few more bikes under Gixxer brand. Suzuki Gixxer SF is based on the old Gixxer naked bike with few minor changes which improve the look of the bike. 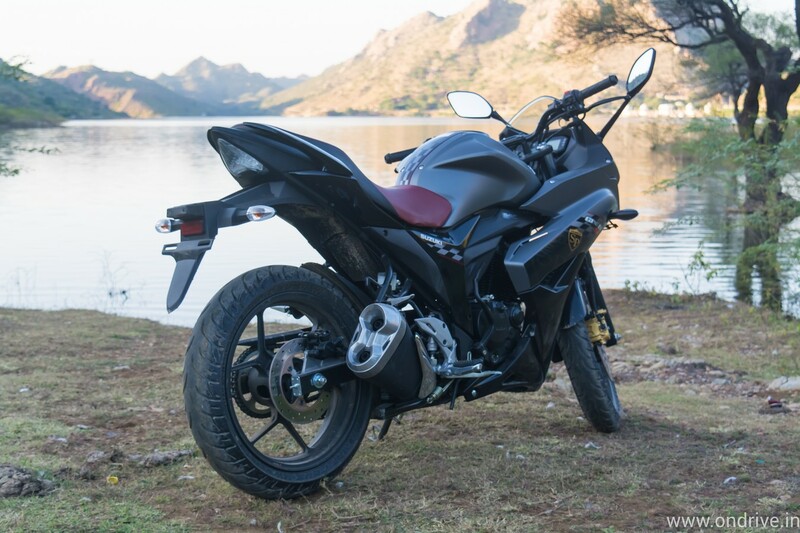 The design is a very important part for Indian customers when they’re looking to buy sports bike and Suzuki delivered the product with Gixxer SF. 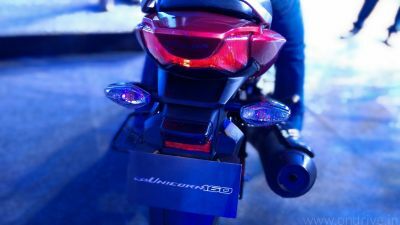 The Gixxer SF features full fairing panel perfectly blended with sculpted fuel tank and superb looking headlamp on the front. The overall setup of the fairing is neatly done, it won’t look like cheap affair as we seen in other bikes especially the Yamaha. Apart from the fairing, rest of the bike carrying same design from the naked Suzuki Gixxer, and that’s not a bad point. The naked Gixxer is beautifully looking bike and Suzuki just took the best from its first Gixxer bike. 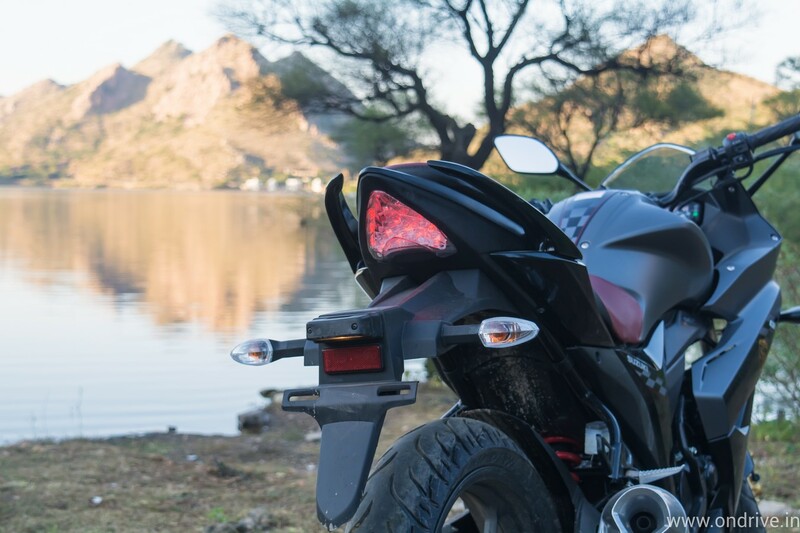 The rear view mirror is mounted on the fairing which provides an excellent view of rear traffic and it’s very easy to look. However you’ve to be extra careful when driving through traffic, I always feel that mirror will hit the someone. 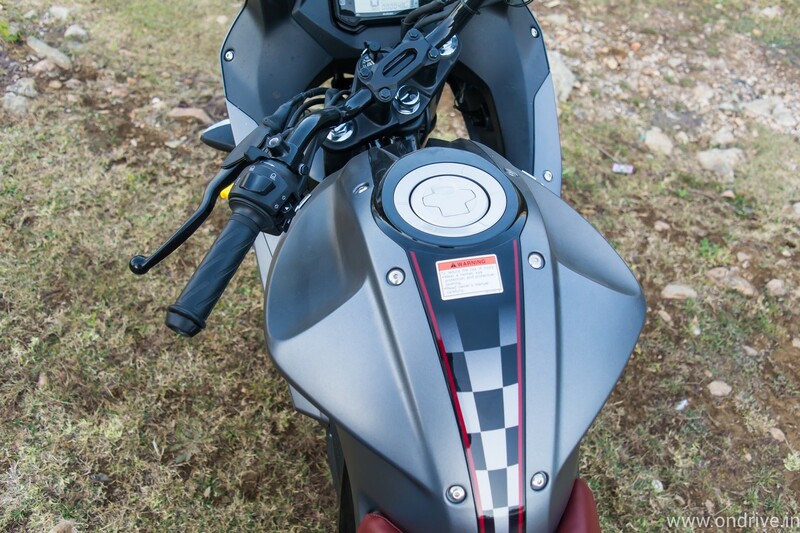 The Gixxer SF also gets the new clear lens indicators and new dual outlet type exhaust with aluminum muffler cover. The compact and sporty designed wit pointed ends LED tail lamp will also attract your eyeball. 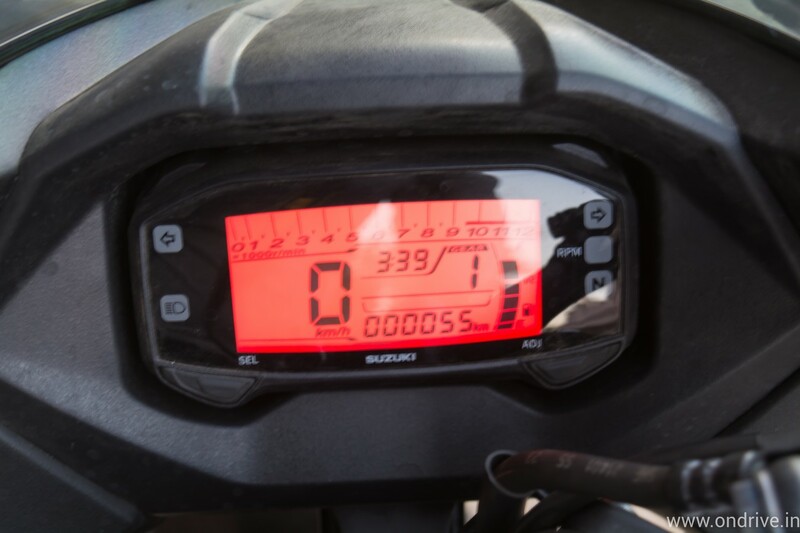 Another thing which grabs my eye is the bike Smart Digital Instrumentations. It features nice red colors which turn on with headlight and it looks really nice in the dark. 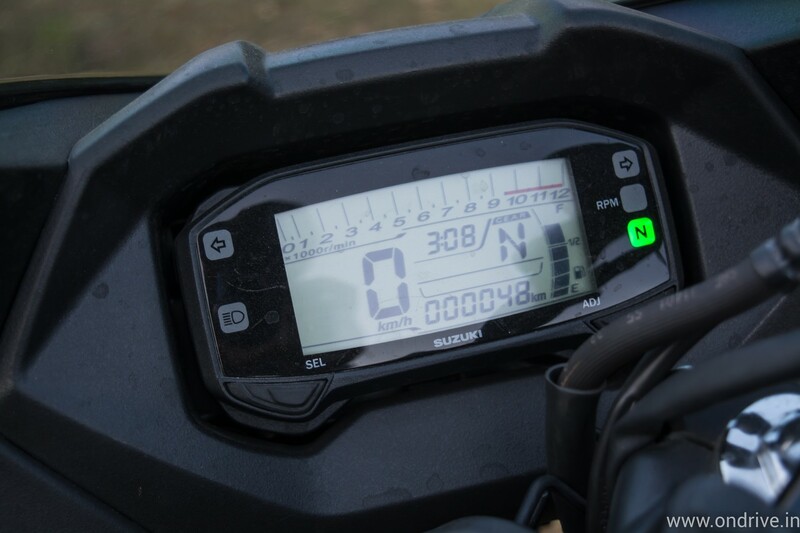 The Cluster displays Gear Position Indicator, RPM indicator, LCD Trip Meter and Programmable Gear Shift Indicator. Suzuki Gixxer SF is powered by same old 155cc single cylinder, SOHC, air-cooled engine which produce maximum power of 14.8 PS @ 8000 RPM and maximum torque of 14 Nm @ 6000 RPM. The bike is mated with a 5-speed transmission. 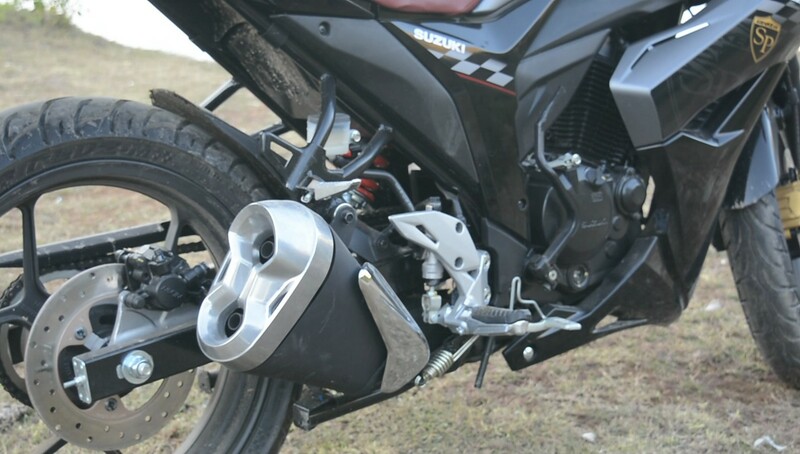 There is no change in engine performance, it has same Gixxer naked bike engine. In spite of the same engine, I’m happy with the overall engine performance. The throttle response is quite good and I like the sound of the engine. In comparison, the performance of this bike is almost similar to original Gixxer. Remember the weight of the bike is slightly more than original Gixxer but still the bike hold it every well. The only downside I found that gearbox is slightly clunky, I was riding a new bike so maybe that will improve after the servicing. You’ll happy to ride the bike in both city & highway roads, it’s not racing bike as advertise but still deliver the good thrill. The bike holds it good at high-speed thanks to its full fairing which improve the aerodynamics of the bike. The ride quality is neither too bad nor too soft, Telescopic & Swing arm mono suspension did a good job. Through you’ll get the bump when you ride on roads with potholes. Braking performance is good but could be better if they used a disc on the rear tyre. The Suzuki Gixxer SF is a motorcycle designed for youth buyers in India who is looking for power & look under a limited budget. Suzuki Gixxer SF took the best from its naked sibling and added full fairing look. The bike would be much better if they’ve added split seats, rear disc, and projector headlamp but still the bike provided good value for money. 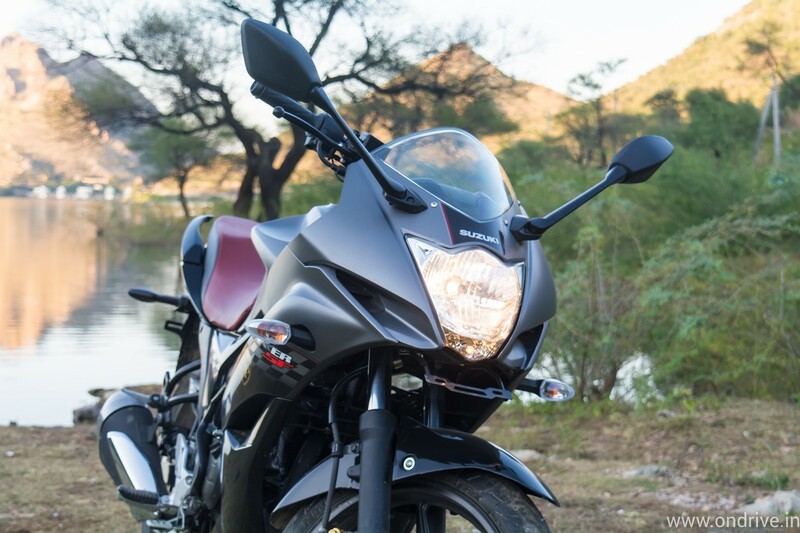 The Suzuki Gixxer SF remains the cheapest full fairing bike with good engine performance, eye-catching design and the trust of Suzuki.